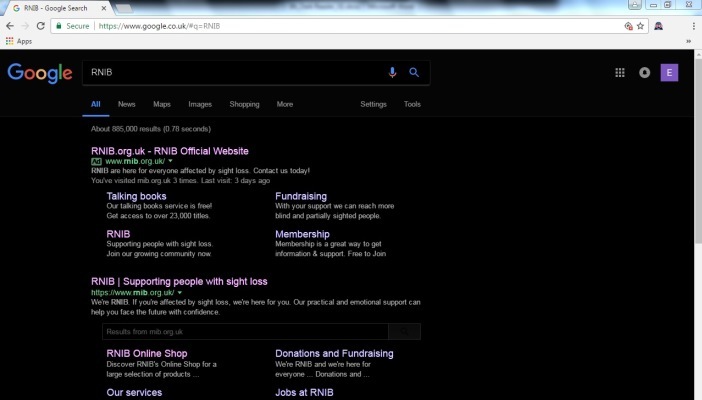 This new Google Chrome extension inverts browser colours to make web pages less glaringly bright and also benefits blind and partially sighted users by increasing text contrast. The Dark Reader extension allows users to invert web page colours by turning on the “Dark” setting; adjust the brightness, contrast, grayscale and sepia browser settings; and change fonts. It’s available for free from the Google Chrome web store. You can use the hotkeys Alt + Shift + D for switching the extension on and off (if the hotkeys don't work, set them up on this page chrome://extensions/configureCommands). The extension also has an “ignore list” where you can add certain web pages that are completely incompatible. Note: If you want to uninstall the extension, don’t forget to switch off the extension before you do so, otherwise your pages will stay inverted.